With summer in Ibiza winding down to a close in this last week of closings, the dance music industry turns its attention to the next big event on the Clubland Calendar. 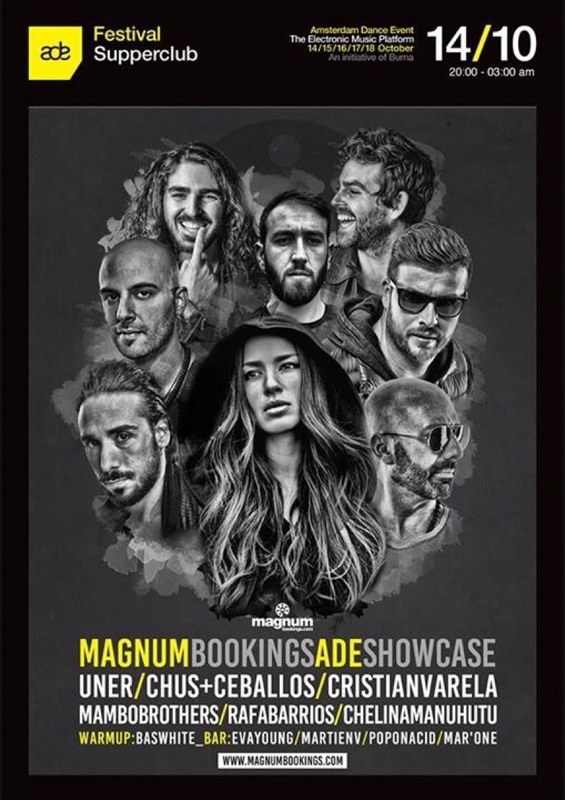 As Mambo Brothers join Magnum Bookings in Spain and Portugal they celebrate by joining the line up to their showcase in ADE. Alongside some of the finest talent in Europe, including; UNER, Chelina Manuhutu, Cristian Varela, Chus + Cabellos and Rafa Barrios. Bringing a taste of the Ibiza sunshine to the cold october streets of Amsterdam. With a mix of house, techno and the famous Supperclub as the venue, If you're attending the conference this is one showcase you want to add to your schedule.